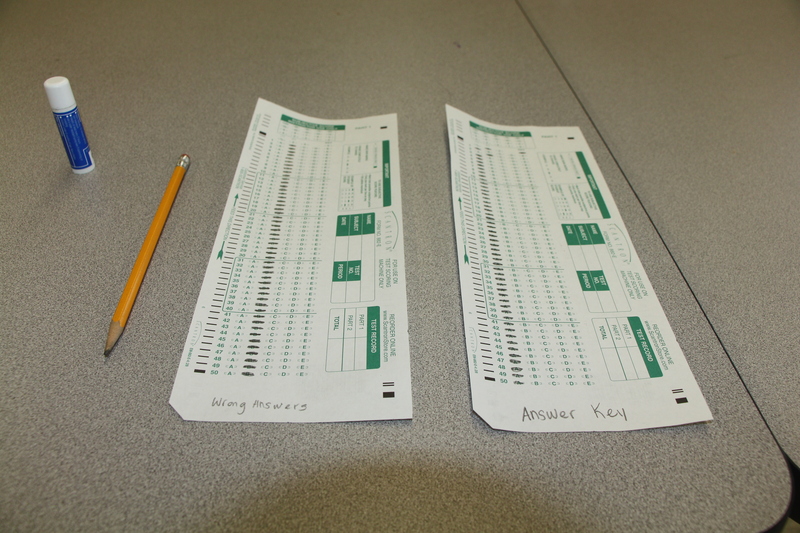 Last year a reporter of The Morgan PawPrint tested out the famous myth among students all over: the chapstick and scantron myth. 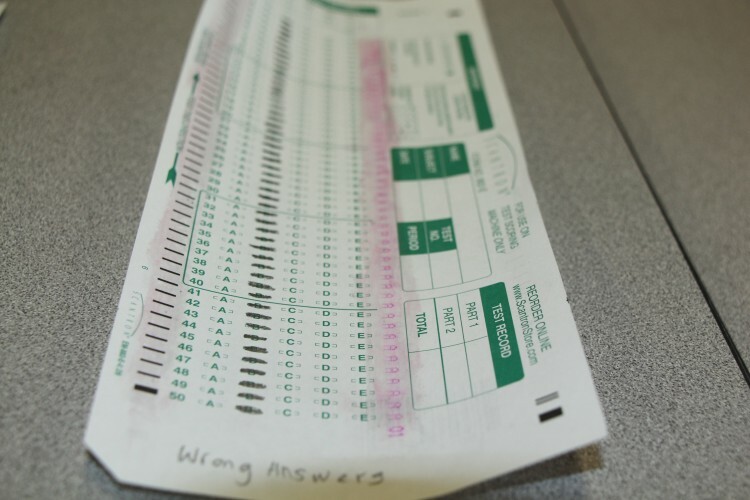 It’s an urban legend that if you rub chapstick on a scantron, you will get a perfect score on the test or exam. There are multiple ways to test this myth. Justin Escobales, author of ChapSticks and Scantrons, rubbed the chapstick all over the sides and the part where you put your answers on the scantron. He then proceeded to run it through the scantron machine and ended up disproving the myth. Shelby and I wondered what would happen if we put the chapstick just on the sides where the scantron machine marks the wrong answers. Would we get a perfect score? Chapstick is made out of wax; wax rejects ink. If the scantron can’t mark answers wrong then the result is a perfect score. We decided to test this out to see if it actually works. First, we had to make an answer key. We pretended that this was an all multiple choice test, marking all the answers A’s except for the second one which was B. 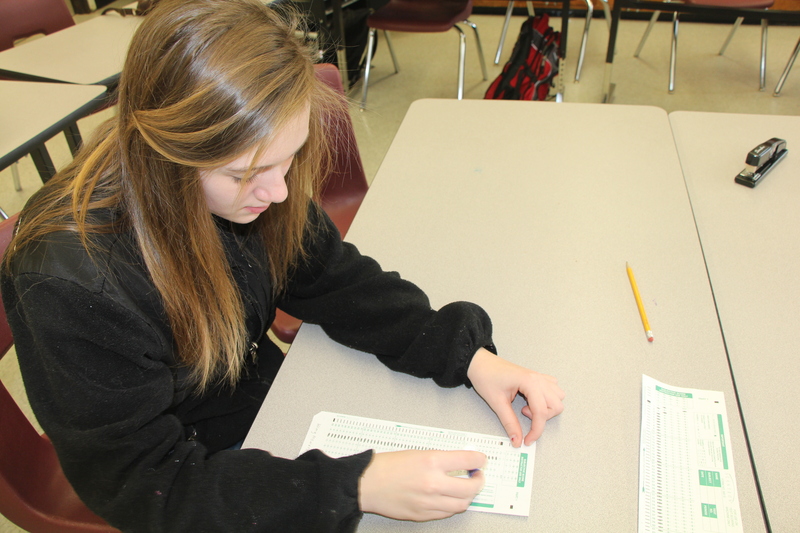 Next, we filled out another scantron, marking all the answers “B”. Next, we rubbed chapstick on the scantron with all the wrong answers. …Disproving the myth, once again. I like how you tried the myth again to see if it would actually work. Nice pictures! Really nice article, kendra.It’s very neat and I like how you included different links. Nice update to the previous version of this article!